Marsh Hawks’ Logo Is Here! 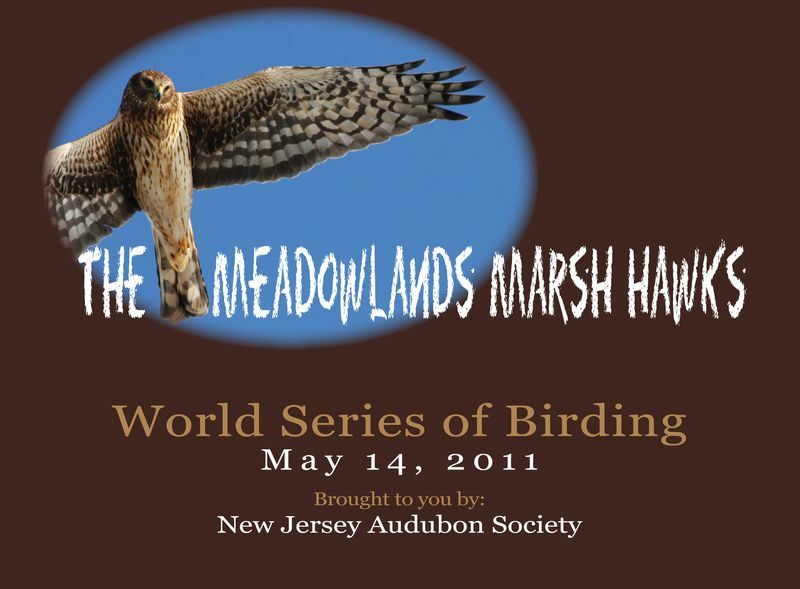 The Meadowlands Commission's Mimi Sabatino designed our logo. We are thinking it's pretty neat. More about our World Series of Birding team tomorrow. 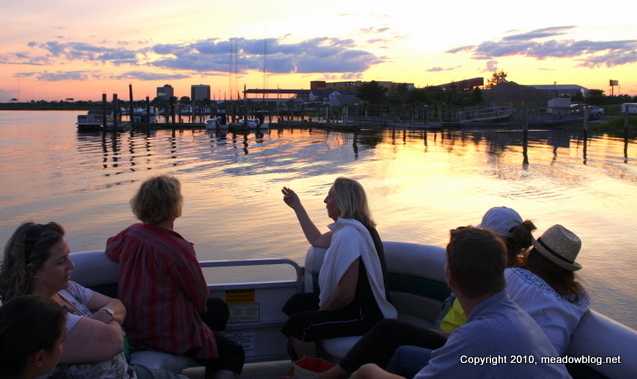 The 2011 registration forms for our boffo eco-cruise pontoon boat rides and group canoe paddles are now available. 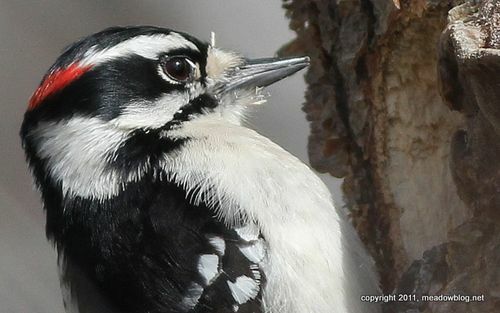 Sunday is a busy day in the Meadowlands, with a free guided nature walk at 10 a.m. at DeKorte Park in Lyndhurst and the first Birding for Beginners class at DeKorte at 1 p.m.
Tuesday's Teaser was a male Downy Woodpecker. World Series of Birding Team Name: We Have a Winner! Although we had thought we wanted a Bergen-oriented name, we decided that the Meadowlands Marsh Hawks made us more recognizable. 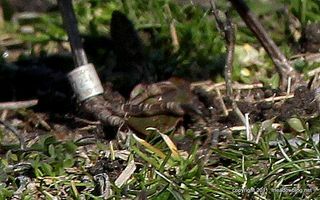 We are now frantically putting together a "logo-type thing," which we will post shortly, along with more info on our team and the bird-banding project we are raising money for. Thanks again to all. 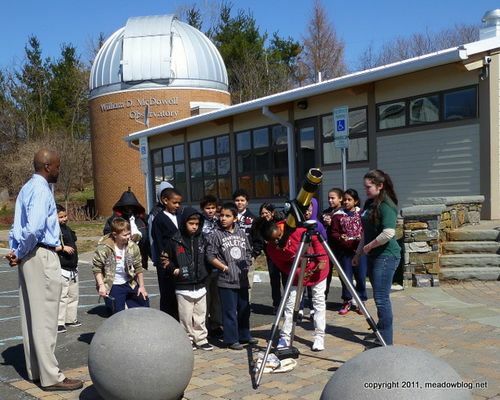 In recent days, DeKorte's Center for Environmental and Scientific Education has been providing young students with unusual looks at the Sun as part of the Meadowlands Environment Center's Solar Energy program. Above, a class from Elizabeth is getting a peek at sunspots (below) through a Coronado SolarMax 90 telescope with a hydrogen-alpha filter. 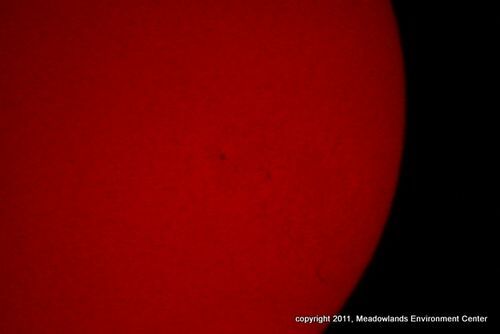 (That's why the Sun appears to be red in the photo, taken by the MEC's John Rusher. Thanks, John). 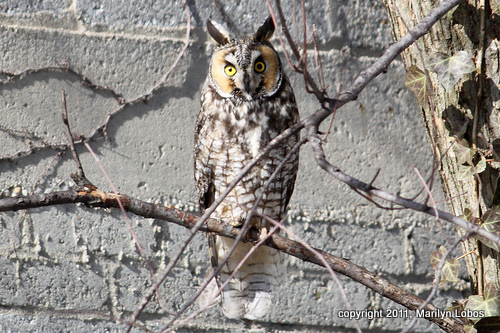 Marilyn Lobos saw this owl perched in her yard in North Arlington last month and offered to share her photo with the Meadowlands Nature Blog. The Meadowlands gets a few of these noctural raptors each winter, but they tend to be far more secretive than this. In honor of our upcoming Birders for Beginners Classes, which run the next three Sundays from 1 to 3 p.m. at DeKorte Park, we thought we'd offer a close-up view of a local frequent flyer. Who is it? Male of female? 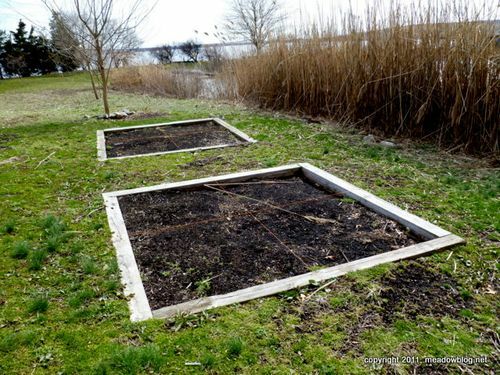 If you’ve walked through DeKorte Park’s Lyndhurst Nature Reserve and come across the plots in the photo above, you’ve probably wondered what they are. Sue Lewicki of the Meadowlands Environment Center says: “These are our practice archaeological dig pits for our field trip program entitled ‘Peek at the Past.’ Students are introduced to Meadowlands history through maps and artifact study. “We have a collection of artifacts from early 20th century in the Science Building, but, weather permitting, students are also introduced to proper dig techniques (it’s a lot more “scraping” than digging) and we used the gridded pits to organize teams in unearthing their own specimens. 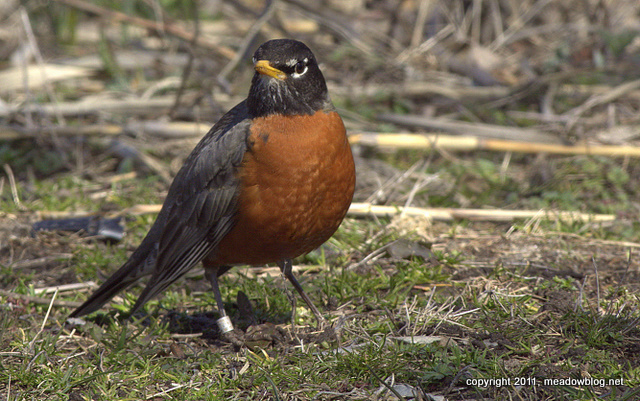 We happened to photograph this American Robin last week in DeKorte Park's Lyndhurst Nature Reserve. In going over the photos, we noticed it was banded — perhaps the handiwork of NJMC naturalist Mike Newhouse and his volunteers?